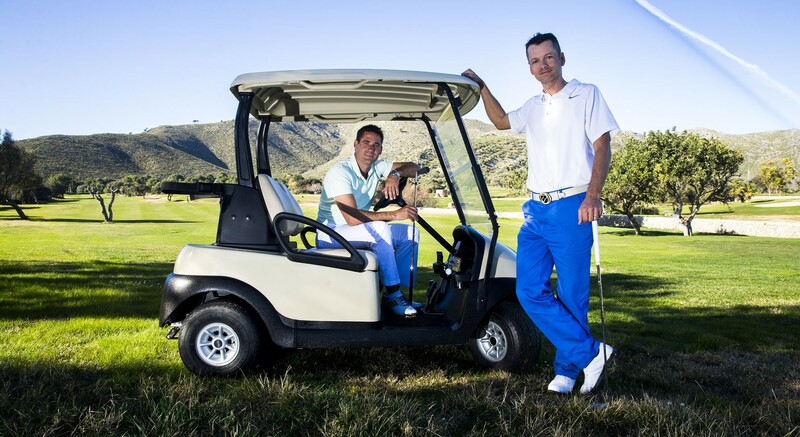 Golf School in Majorca/Spain – Golf courses and playing lessons | (Deutsch) Philosphie unserer Golfschule - Wie Sie bei uns auf Mallorca Golf lernen! A technique, which is more or less consistent, is an ability. 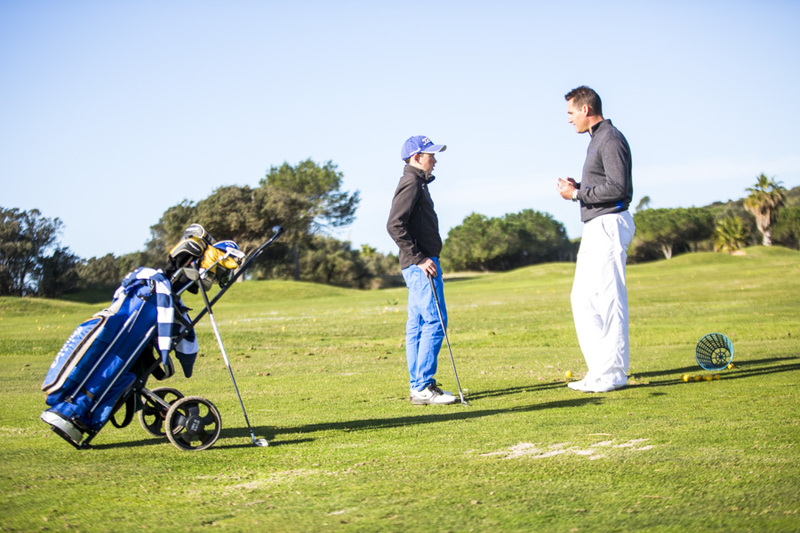 To obtain an ability (for instance to hit the ball first and then the ground), we go through a series of steps with our pupils. With every golfer, the coach always has to find a common way of getting goals accomplished. The interesting thing is that we find players with different characters, different ways of solving things, with more or less time to practice. So it becomes a teamwork. Our golf professionals are like chameleons. We are on one side a golf teacher, who teaches. Then we are also a coach. There is a huge difference in this sentence. Let’s look into this and see how it works within our instructional courses. The teacher is the one who explains and shows a golfer how he has to do a certain swing. “Do it this way and then do this and that so that the ball does this.” It is about giving only the necessary information to establish a certain technical way so the body can play the shot in a more effective and consistent way. Now in lessons there are sever all ways of explaining and showing “it”. A very good way of doing this, is to create manipulated excersises. With those excersises, the golfer will have to perform the shot in a good technical manner to achieve the goal. He internally coordinates, so that the ball does what we want it to do. That would be playful learning and is guided/controlled more by internal coordination. We also work quite often with external focus. That means, not always do we tell you how you have to do something (internal focus). We just tell you, as an example, what the ball has to do. Now you have to figure out how you have to move the body and the club, so that the club impacts in a certain way and the ball does what we want it to do. That often is so much easier to do, then having to show you in details what you have to do. In this case, you will try and use your internal coordination to exaggerate a movement, which after a few tries will hopefully end in the improved movement part. If you have too many things at once, your inner control and delivering ability will be flooded and movements won’t happen naturally, or how we call it ‘internally steered’. The coach, on the other side, tries to improve what a player already has. He uses excercises to make a player more skilful in doing something. To achieve that, he adds difficulties to get the player to overachieve, which is when the actual learning happens. A golf teacher tries to eliminate additional stress for internal coordination processes to achieve a certain shot. A golf coach, on the other side, adds stress to create more abilities and accepts the ways a golfer is doing it. The next step we go through is to polish the technique with variable excersises so the golfer gets control over the different shot types. He will now play a chip, then a putt, then a pitch, then an 7 iron, then a hybrid and a driver. In this phase we play a lot of games, one against one or teacher versus pupils. That is also when we can start to control more where we hit a ball, rather than how to hit it. Mechanics become less important. 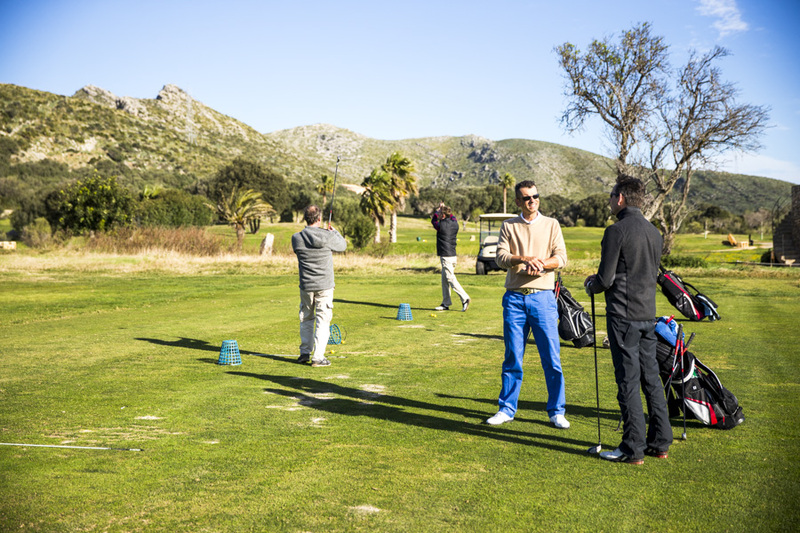 We hope that you are as passionate about improving your game as we are and we would love to have you with us during your most precious time of the year – your holidays.